Home > Blog > What Does Water Have to Do with National Security? Water security is an important issue driving state stability and safety in many regions of the world. 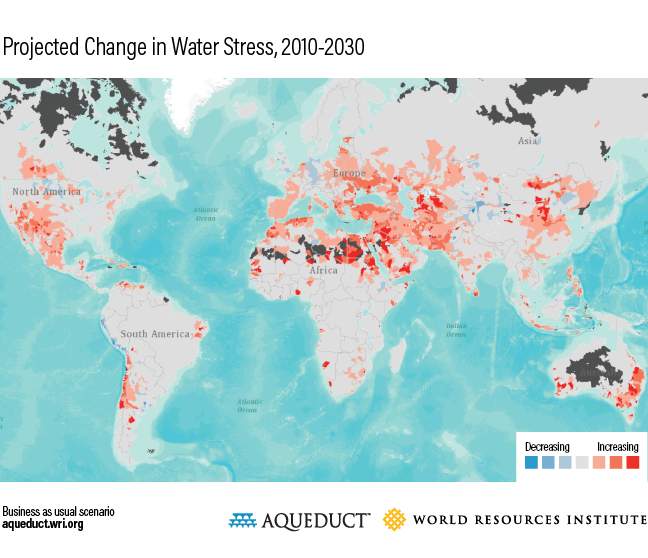 The direct and indirect effects of water stress—such as migration, food shortages and general destabilization—transcend national boundaries. 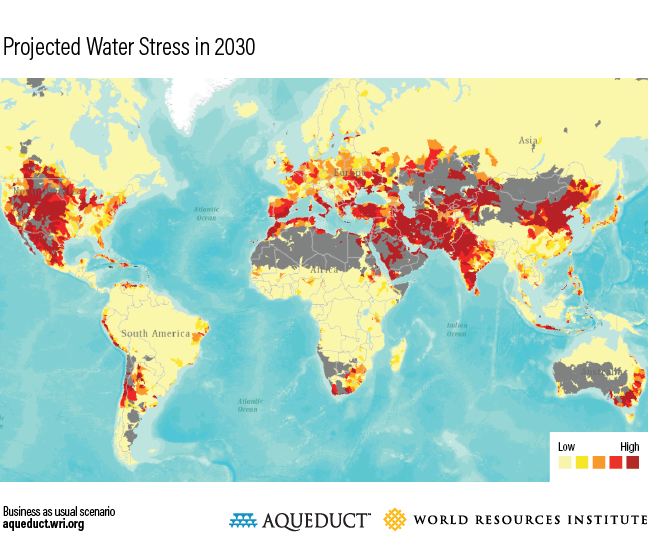 As water stress increases in the coming years, prioritization of water resources in domestic and global security policies will become even more essential. Water stress increases the likelihood of disputes over water, as people and countries compete for scarce resources. In CFR’s “Water and U.S. National Security,” author Joshua Busby argues that this risk is maximized when water stress and weak governance intersect. Water stress has played a key role in a number of recent conflicts, including the war in Darfur and fighting in the Lake Chad Basin, where the Boko Haram insurgency has taken place. In these instances, diminishing water supply has been a contributing factor to conflict, as groups fought for access to this increasingly precious resource. Improved water management also requires better data and effective early-warning systems. A new High Level Panel on Water, led by the UN, World Bank and several heads of state, sees better data as a crucial element to water security. Water risk and early-warning tools such as Aqueduct and the Famine Early Warning Systems Network (FEWS NET) can help decision-makers prioritize action, both in the short- and long-terms. Busby writes that, “the failure to invest in water and security now could mean that the United States and other international actors will pay billions later to respond to crises, whether they be humanitarian emergencies, disease outbreaks, or conflicts within or between states.” We know how to identify water-related risks to national security, and we are beginning to identify best practices for reducing them. Will governments muster the political will to tackle the issue?